It looks like the latest collaboration between Foster + Partners and Apple is dead in the water. The pair’s future flagship Australian store in Melbourne, Victoria, has been blocked by heritage officials, and Apple has decided not to move forward with the project. The pagoda-like Apple store was first revealed to the public in late 2017, and immediately drew criticism for its siting and design. Preservationists were up in arms over the decision to place the shop in the eight-acre Federation Square, Melbourne’s main public plaza. Federation Square emerged from a design competition sponsored by the Victoria government in 1999 to transform a polluted patch of industrial land on the Yarra River into public space. A group including Lab Architecture Studio, led by Donald Bates and Peter Davidson, Karres en Brands Landscape Architects, and the local firm Bates Smart, ultimately won the commission. The square’s eclectic collection of three-story buildings, most of them clad in panelized glass, zinc, and sandstone arranged in dizzying patterns, have become a Melbourne fixture. To the square’s south is the Yarra Building, which currently holds the Koorie Heritage Trust, and would have been demolished to make way for the $35 million Apple store. Other than the auspicious location, the store’s original tiered design drew comparisons to a pizza box, among other things, and Foster + Partners was forced to go back to the drawing board. In July of last year, the design team released a heavier, blockier scheme that oriented viewing angles out towards the river. That effort now appears to have been for naught. On April 5, Heritage Victoria, a state body responsible for protecting Victoria’s cultural and environmental heritage, ruled that the Yarra Building’s demolition would fundamentally alter Federation Square’s fabric. 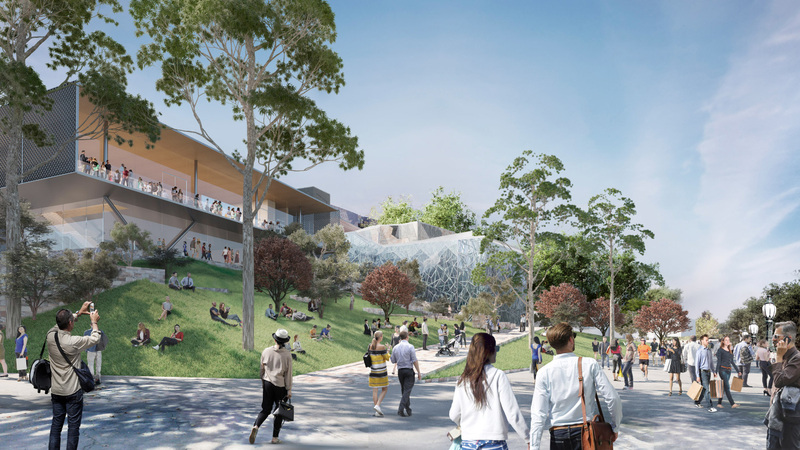 With Heritage Victoria’s refusal, Apple announced that it would be abandoning its plans to build an Apple Global Flagship Store in the square. 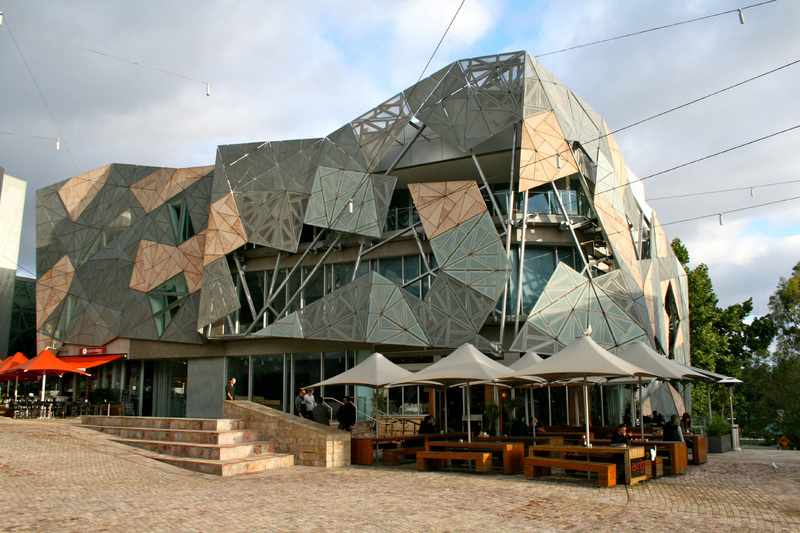 Federation Square was nominated to the Victorian Heritage Register for historic preservation last August. Undeterred, Federation Square’s management submitted the application to Heritage Victoria for permission to demolish the Yarra Building in December. 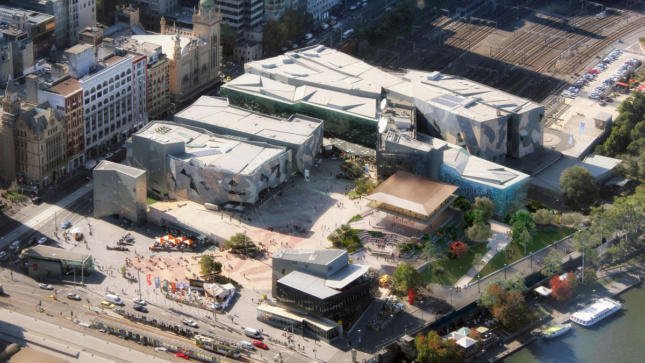 Now that the Apple store plan is off, Federation Square’s induction into the Victorian Heritage Register will be completed by the end of April.